Even the cleanest of homes can seem dreary if the upholstery is faded or frayed. Keeping your sofas and curtains looking as fresh and new as the day you bought them is easier said than done. It takes more than one-time cleaning. 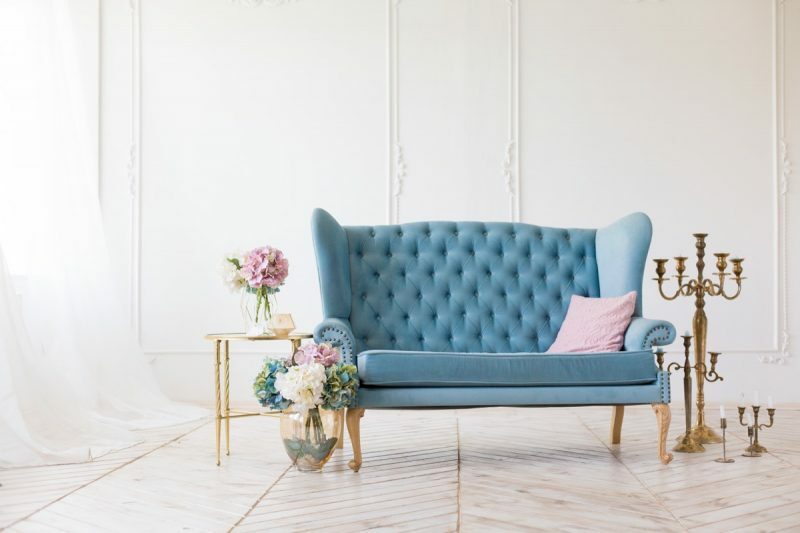 Just follow a few simple tips and tricks for regular upholstery maintenance and you’ll see a big change in the way your home looks. If your chairs or sofas are upholstered in leather, you will need to take a little extra care to protect them all year round. Once the natural oils in it are gone, there is no bringing them back. You would do well to prevent this damage from happening in the first place through regular care and professional cleaning. The darker the fabric the lighter and heat it will absorb, causing the leather to dry out even more. Harsh or direct sunlight causes gradual fading and can make vibrant, rich colors seem dull and lifeless over time. Keep your upholstered chairs away from direct sunlight to prevent fading. Alternatively, use blinds to keep out the sun when it is hottest, or get your windows tinted. If your leather or fabric has already faded, your only option may be to re-dye the material. This is a tedious process and can be expensive. The worst nightmare for a beautifully upholstered couch is a food or drink stain. Make it a rule to not bring eatables to upholstered furniture. Use your garden chairs or dining table for eating and drinking and keep your soft furnishings pristine. In case you have a spill, blot it up quickly and don’t rub it too much – this may smear the stain even more. Check for cleaning instructions on the fabric and use the recommended cleaning liquids only. Organize your rooms so the furniture is easily moved around. You could opt to shift furniture into darker areas in the room during summer when the sun is brightest. Another smart idea is to keep some bits of furniture rotating between rooms each month. A set of chairs can be in your brighter living room one month, and the darker study the next. You might need to schedule regular major upholstery cleaning just a couple of times a year or annually, but make a habit of quick clean-ups on weekends. Put your upholstery attachment on your vacuum cleaner and run it across all your upholstery to get rid of any dust that may have settled on it during the week. Dust your cushions off outdoors every month. Give your home a facelift with thorough professional upholstery cleaning from Top Cleaners.